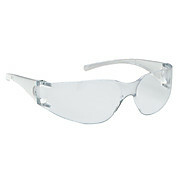 Lightweight popular style with an economical price Universal nose bridge for comfort 100% polycarbonate (no rubber, medtal or other components) Completely dielectric, thermoplastic construction Meets ANSI Z87.1+ 2010 standards NOW AVAILABLE with light blue lens and temples (product code: 33072). 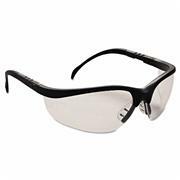 Ultradura® Hardcoat lens Framless design Comfortable and lightweight New frameless design with patented dual 9 base unilens offers weightless comfort and superior coverage. 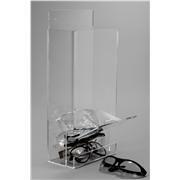 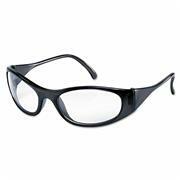 Glasses offer complete and unobstructed vision with excellent protection. 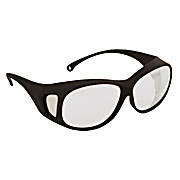 Black frame with clear or amber lenses. 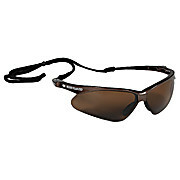 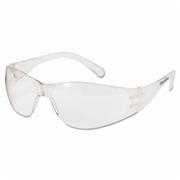 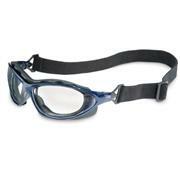 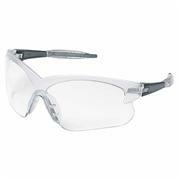 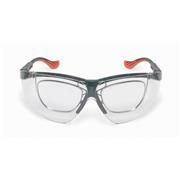 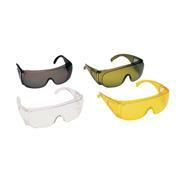 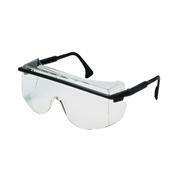 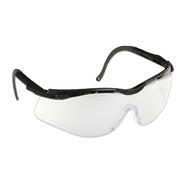 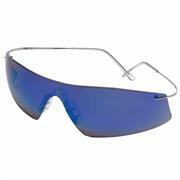 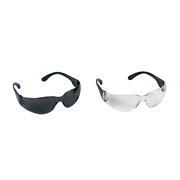 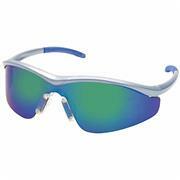 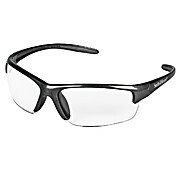 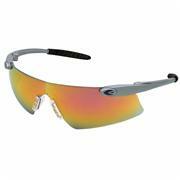 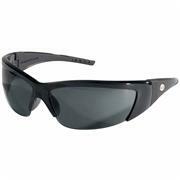 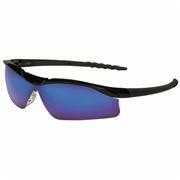 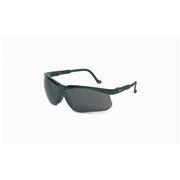 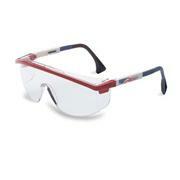 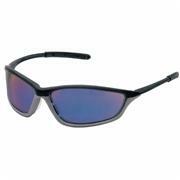 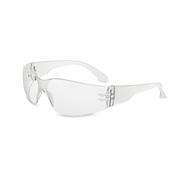 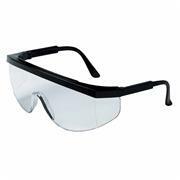 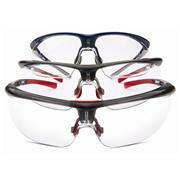 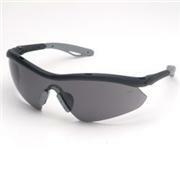 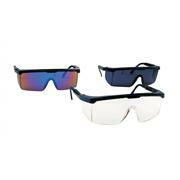 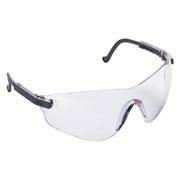 Safety glasses feature a sporty look, one-piece lens and 4A anti-static, anti-scratch, anti-fog and anti-UV coating. 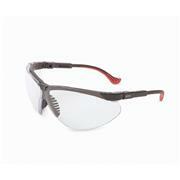 Regular curved and straight end temples are included. 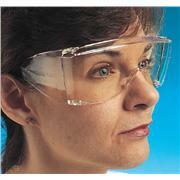 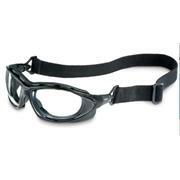 Available with universal comfort bridge or Flexi-Fit 3-point non-slip nosepiece.